In a summer saturated with festivals, Arboretum may be Ottawa's hippest. Moving locations across the city since its inception in 2012, the five-day arts showcase has now set up headquarters on the grounds of City Hall, bringing in a lineup of taste-making artists like Mykki Blanco, Junglepussy, Doomsquad, Dilly Dally and Tim Hecker. So, it seemed like a curious — but ultimately rewarding — move to bring in Gen X indie heroes Sloan for a Friday night appearance. In the midst of their One Chord to Another 20th anniversary tour, Sloan was called upon to serve double duty, stepping up to play two full sets after a last minute pull-out from headliners METZ. Joined onstage by longtime keyboardist Gregory Macdonald, Sloan launched into One Chord to Another opener "The Good in Everyone." Playing their iconic 1996 album in full, the quartet breezed through "Autobiography," "Junior Panthers" and "G Turns to D" before hitting a brief rough patch during "A Side Wins", which found drummer Andrew Scott moving to the front of the stage to raggedly sneer out the vocals. But when the band played singles "Everything You've Done Wrong" and "The Lines You Amend" (with the latter featuring two local horn players) the energy escalated, and bassist Chris Murphy won onlookers over with his sappy stage demeanour. These good vibes immediately transferred to the band's second set, which found them focusing on their most beloved material — including "Losing California," "Penpals," "Coax Me" and "I Hate My Generation." After an announcement that Scott had to sit out the second set due to a foot injury, the Golden Dogs' drummer Taylor Knox filled in, tearing it up behind the skins. Following the undisputed crowd favourite, "Money City Maniacs," Scott returned to the stage to sing "People of the Sky" and "Sensory Deprivation," but fell behind a bit on the songs' melodies. Coupled with Murphy's unbridled, fill-filled drumming style, both tracks came off as noisy, loose and teetering-on-disastrous. But ultimately conquering those lows seemed to inject even more vigour into their set, giving newer singles like "Unkind" and "Who Taught You to Live Like That" as much of a rapturous response as classics like "The Other Man" and Underwhelmed." 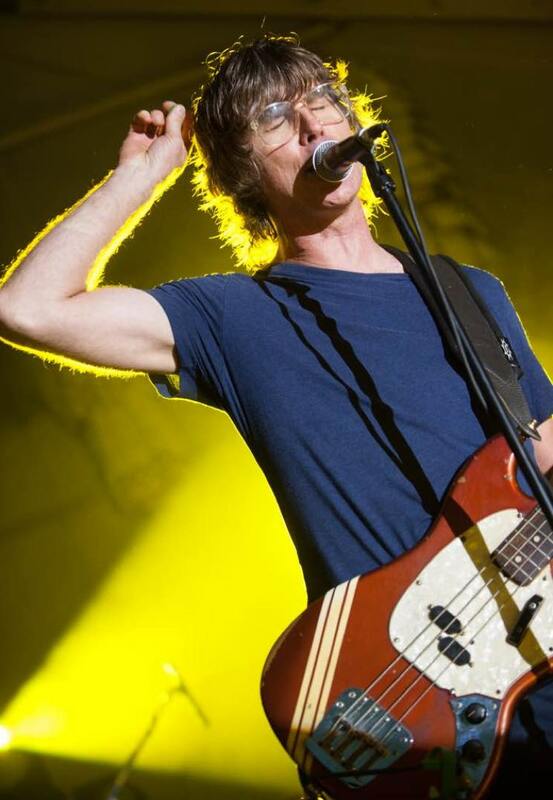 Despite the double set verging on two hours, Sloan proved themselves seasoned vets and delivered a thoroughly entertaining performance in spite of any stumbles. No other band in Canada could have handled it with such grace, humour and straight-up experience.